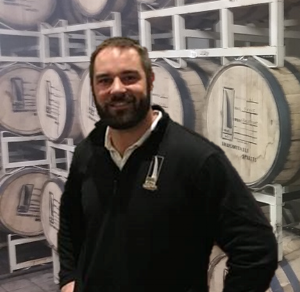 English Major turned White Water Raft Guide who became a Futures Trader then left that successful career to stalk a dream of becoming a 21st Century liquor baron by building the best craft distillery in the world. Founder/Distiller/HMFIC. Elementary teacher for years, she left that field to focus on being an incredible mother. She enjoys gardening, making kombucha, bee-keeping, and running the family. Sidni came back to work in the family business as HR/Bookkeeper, but her formal title is the "VP of Misc. Stuff". If it needs done and it's not production or sales/distribution, then it's probably Sidni who's taking care of business. Came on board in Jan 2017. A former tech firm account manager, he joined in Feb 2017 as our Master of Sales & Distribution. 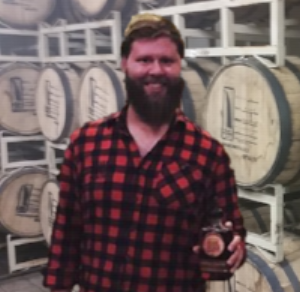 An extremely hard-working, intelligent guy, Andrew is the public face of the distillery. He has an encyclopedia of booze in his head and loves to create whether it's working in the garden, cooking in the kitchen, or mixology in the bar. Together with his girlfriend, Andrea, they are our "Librarians" whipping up the best cocktails around!